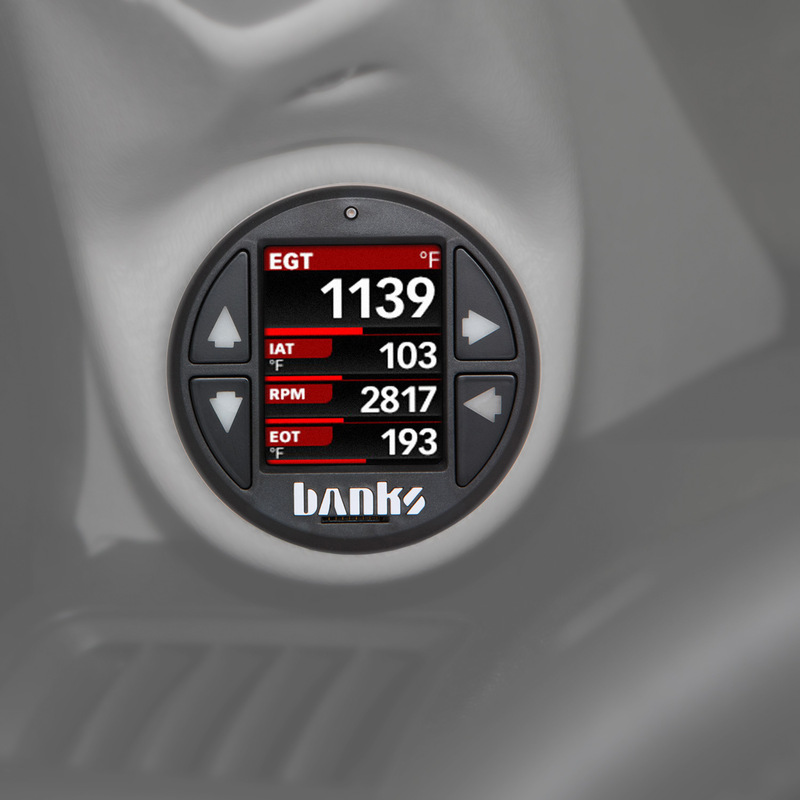 Optimum fuel tuning for awesome power (+115 hp, +206 lb-ft), built-in safety and adjust-on-the-fly power, Banks iDash 1.8 Super Gauge controls Six-Gun, plus real PC computer functionality. Calibrated for sport, Six-Gun delivers pavement-shredding best gains of +115 hp and +206 lb-ft at the rear wheels; has 6 change-on-the-fly power levels; is Stacked for Power to tune pulse width, timing and fuel pressure; and has exclusive AutoRate and ActiveSafety engine and transmission safeguards. 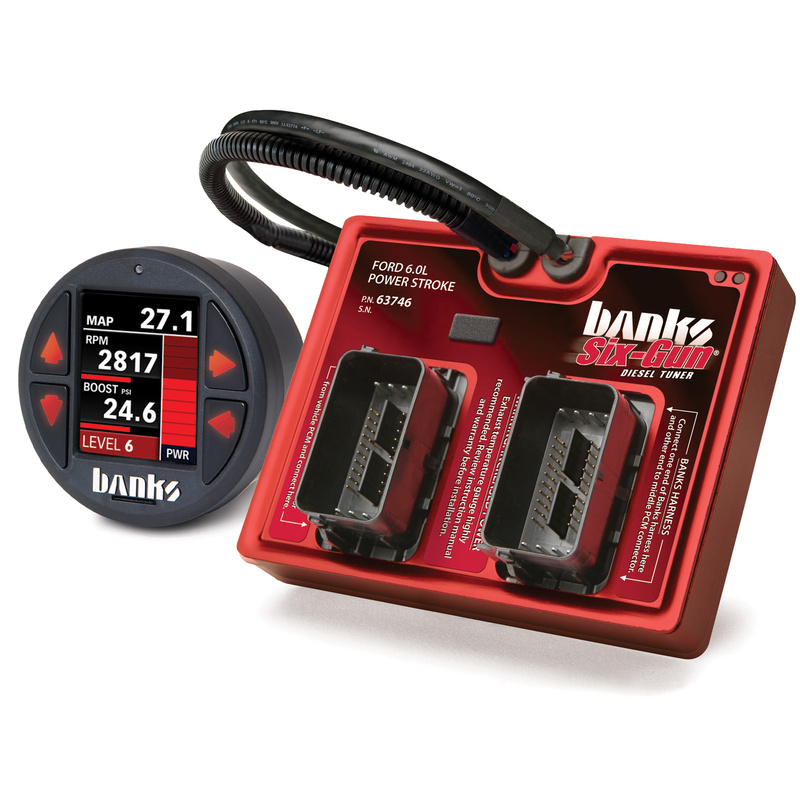 It's pure genius: Banks iDash 1.8 Super Gauge Vehicle Monitor/Control. Banks iDash 1.8 is packed full of awesome! Use it for total control of your Six-Gun Tuner. Achieve best gains with a touch of your finger. Set and monitor EGT, coolant temps and a vast array of other engine parameters. Scan/define/clear vehicle diagnostic codes. Test vehicle: 2003 Ford Extended Cab 2WD F350 Dually. Engine: 6.0L Power Stroke. Transmission: TorqueShift SR100 5-Speed Automatic. Note: Six-Gun tests performed with Banks Six-Gun Bundle airflow improvements. 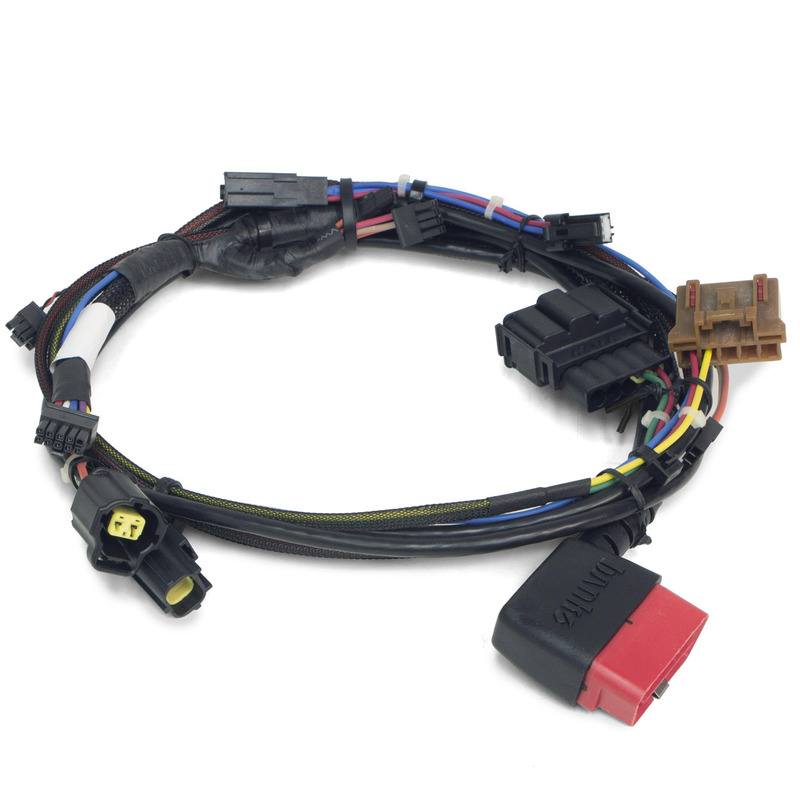 Upgradeable options include airflow components to build a complete engineered power system. 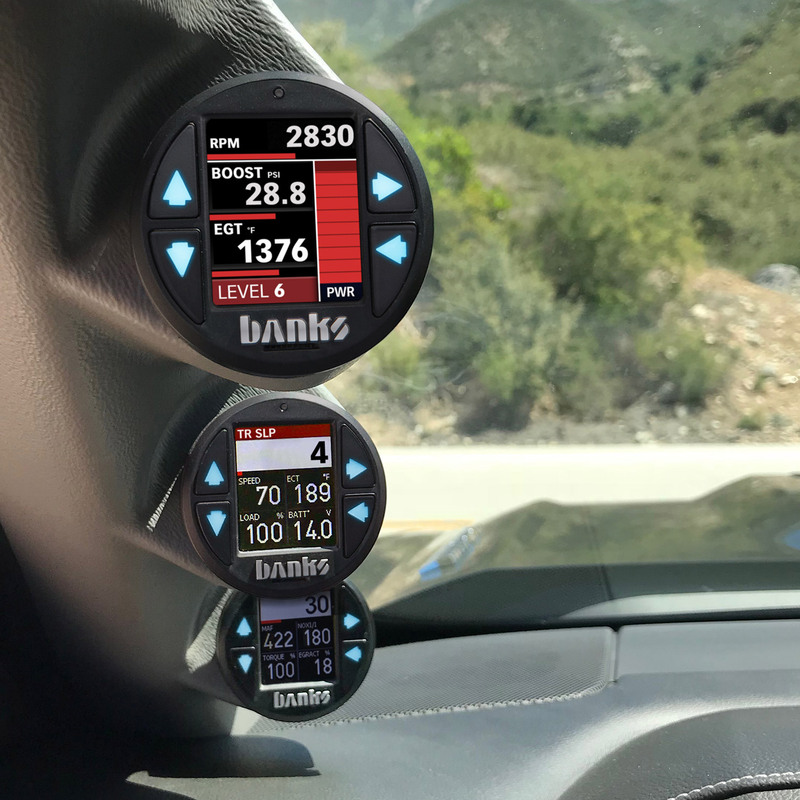 For best Six-Gun Tuner performance, Banks always recommends airflow improvements.